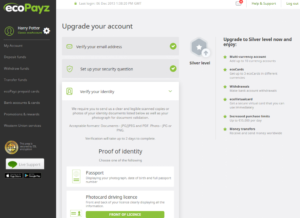 ecoPayz verification is important to gain full access and remove all restrictions from your ecoPayz account and should be the first step after creating your account. 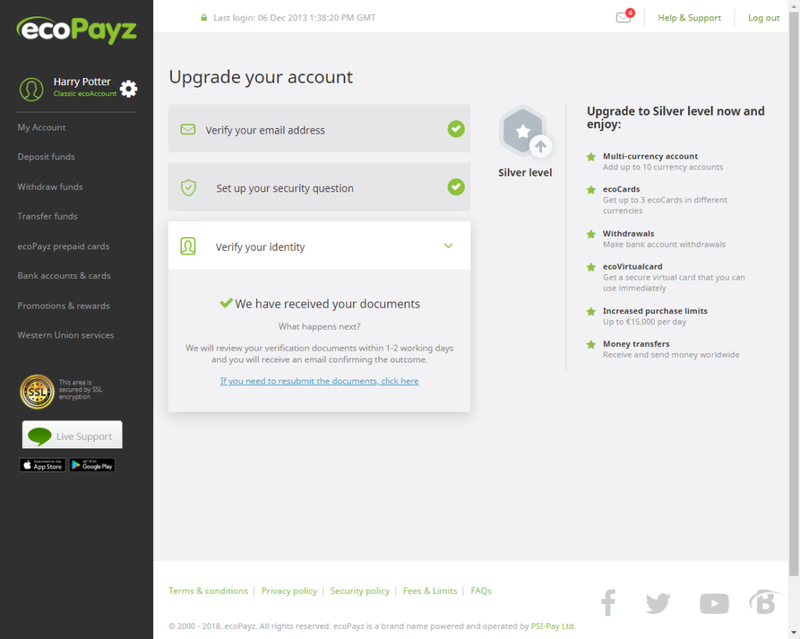 For our clients we have arranged a special agreement to speed up the ecoPayz verification process. Within one business day your account will be fully verified and upgraded to gold VIP status with highest transfer limits. By following the instructions below your account will be verified much faster with a free and instant Gold VIP Upgrade. 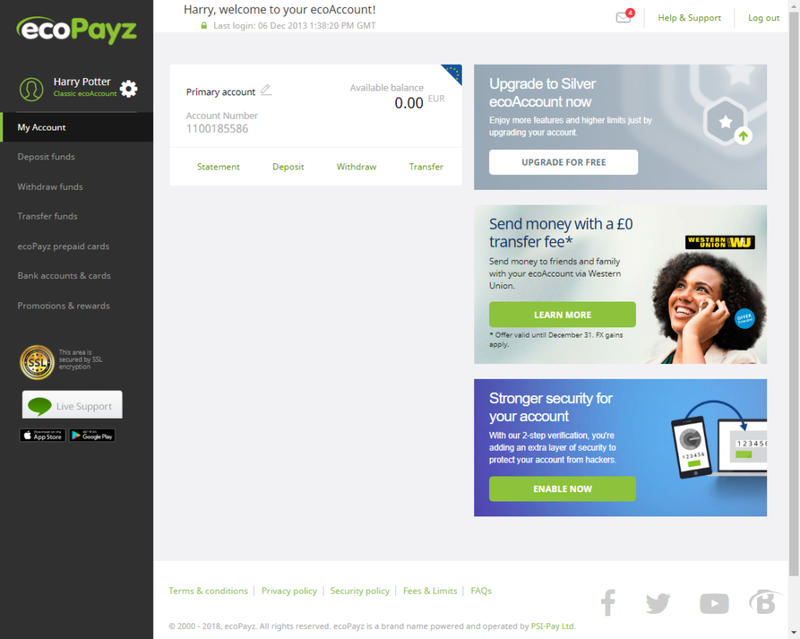 Register your ceoPayz account with us. Verify your account with the instructions below. Fill the form to get your account upgraded to Gold VIP level. 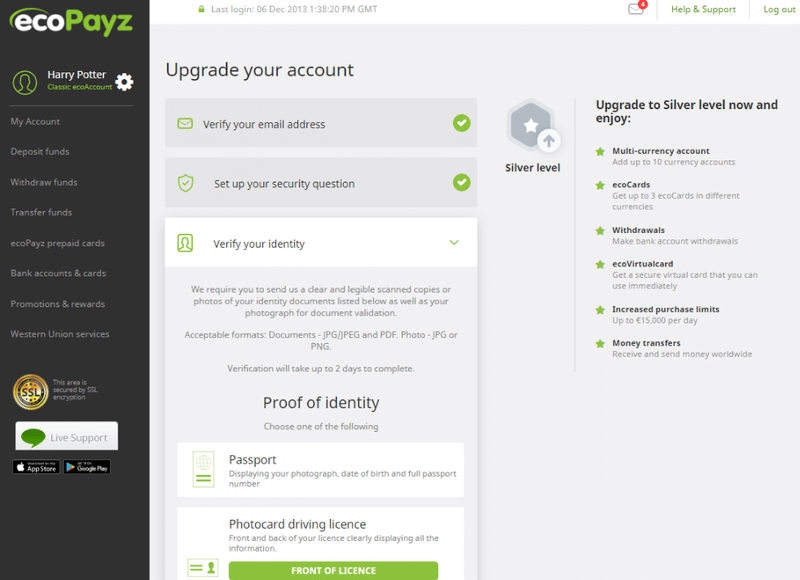 To verify your account you need to send in documents to verify your Identity AND Address. A valid copy of your passport (the page displaying your photograph, date of birth and full passport number). A copy of your national identity card displaying your photograph, date of birth and full Identity Card number. A copy of your photo card driving license displaying your photograph, date of birth and full driving license number. A copy of your bank statement. A copy of a utility bill (for example — an electricity-, gas- or cable-bill). A copy of your certificate of residence. Please note, all photos have to be in high resolution, so that all details are clear and legible. Online screenshots cannot be accepted! 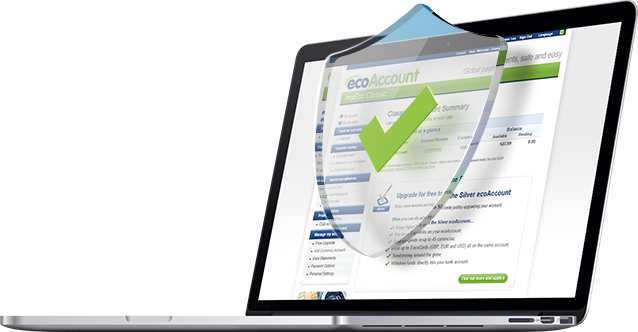 The ecoPayz verification process is fast and easy. Just follow the instructions below to verify your account and increase your transaction limits. A valid copy of your passport OR ID card (the page displaying your photograph, date of birth and full document number). A full bank statement (showing multiple transactions) OR copy of a utility bill (for example — an electricity-, gas- or cable-bill). Please make sure to send high quality documents only with all details clear and legible. In case any document could not be accepted, ecoPayz will contact you and ask you for another document or to provide a better picture. Once your account is fully verified it will be upgraded to Gold VIP automatically. 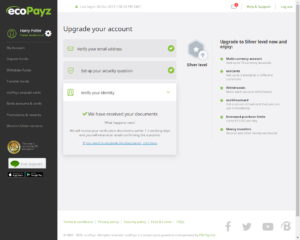 You can also upload your documents from within your account to fully verify your account. Upload your “proof of identity” document, a “proof of address” and a selfie with holding your ID card next to your face. Your account will be upgraded to Gold VIP automatically afterwards. 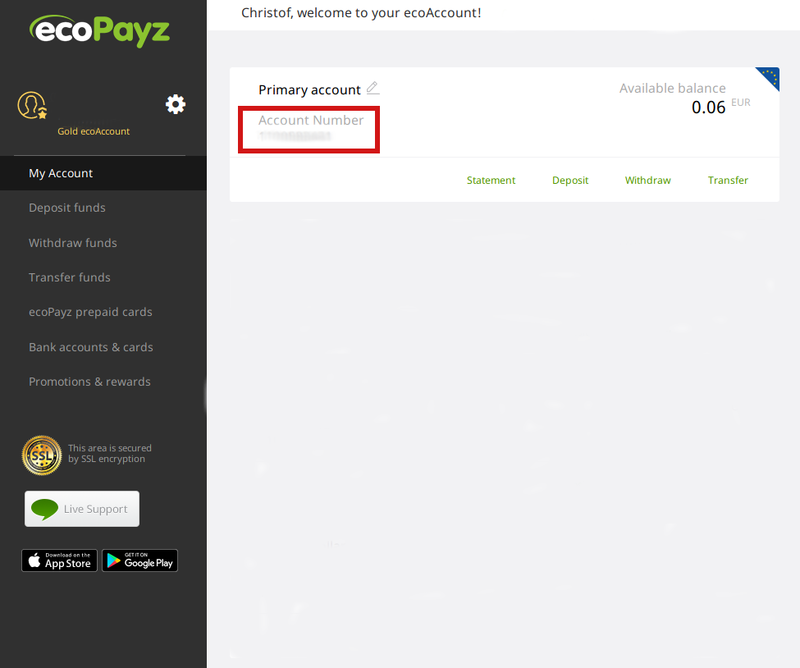 If you have any further questions about the ecoPayz verification process or want to learn more about our ecoPayz Cashback Program, please contact us . We are there to help you. 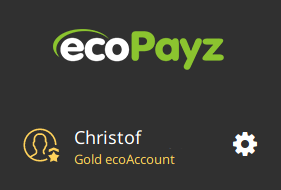 After your account is verified you can benefit of our free ecoPayz Gold VIP Upgrade. Simply fill the form below and we will get back to you with the approval within one business day. 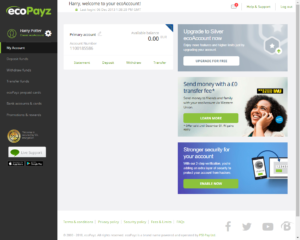 Please contact us if there might be any questions or problems with your ecoPayz verification.